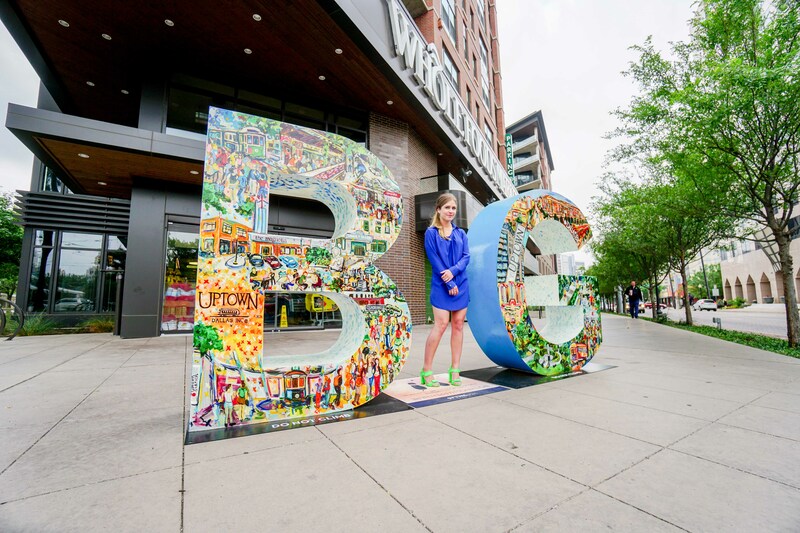 For nearly four years visitors and locals have posed as the "I" in "BIG" in the city's iconic, life-sized B&G sets and shared their big Dallas moment online using #DallasBIG. 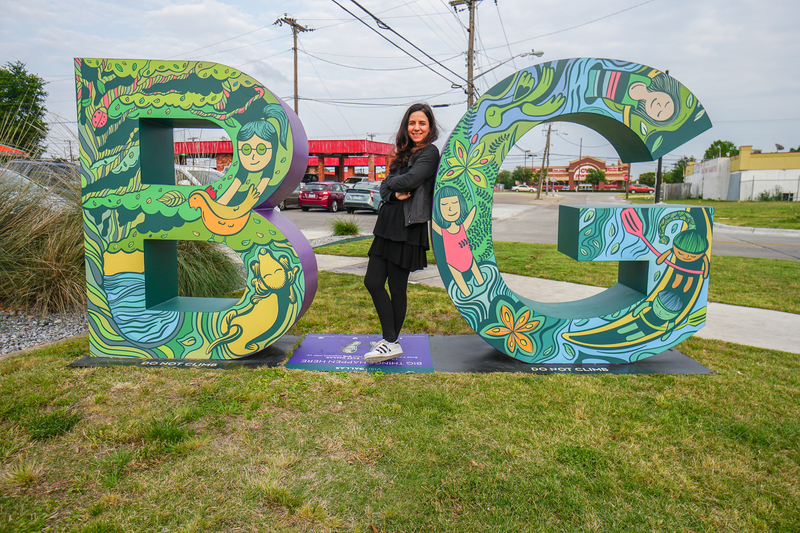 Today, we take it one step further, launching artist-designed permanent B&G sets installed in four of Dallas' vibrant neighborhoods. 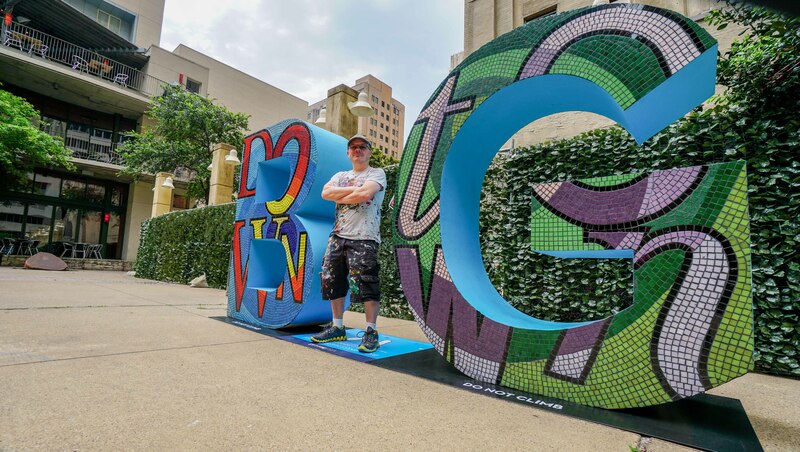 The B&G instillations, located in Downtown, Uptown, Deep Ellum and East Dallas, are designed by local artists to reflect each neighborhoods' individual vibe – so go, snap and share, and soak up the soul of Dallas' diverse destinations. Drop a pin in the center of Downtown Dallas and you'll see Pegasus Plaza. This busy corner is surrounded by historic buildings, popular restaurants, shops and hotels. On any given day, you can find live music, craft markets, movies and more. See and do: If you're in for a meal your options are abundant. For Italian, Americano at the Joule Hotel is convenient and casual. Sol Irlandes and Iron Cactus are nearby and will cure your Tex-Mex craving. Head west a few blocks to Ellen's Southern Kitchen for home-style comfort food. Get there on the historic McKinney Avenue Trolley. In operation since 1989, it's a charming collection of cars – some more than 100 years old – that's free and operates daily. Hop on and off the air-conditioned trolley from Downtown to Uptown and through the Arts District. See and Do: Stop in at Shake Shack for the Dallas-only Link Burger, a cheeseburger topped with griddled Pecan Lodge jalapeño cheese sausage link. Then relax at the corner park or play a game of bocce ball. For even more heat, CrushCraft is a few trolley stops up and features palate-pushing dishes and original Thai street eats. The B&G set is in the middle of the neighborhood with easy access to the some of the best bars, live music and restaurants in the city. 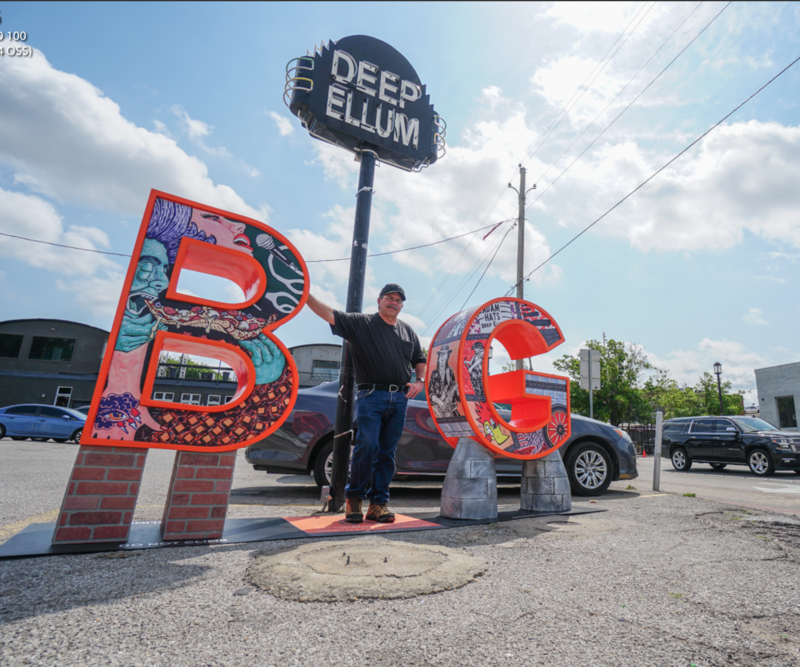 Why is Deep Ellum #DallasBIG: Public art is part of the fabric of Deep Ellum, most noticeably seen in the countless murals on building walls. From its start, Deep Ellum welcomed the unconventional, especially local musicians and artists, and music and art continue to be the heartbeat of the neighborhood. See and do: Just across the street is Monkey King Noodle Company, serving up steaming bowls of authentic ramen. Down the street, dive bar Adair's Saloon offers live music seven nights a week. Feed your sweet tooth at Rocket Fizz, a colorful candy shop selling crazy confections and creative bottled sodas in flavors such as s'mores and mud pie. The intersection is a meeting place for families, bicycle clubs, runners and friends at all times during the day. The location draws visitors deep into the heart East Dallas to truly get a taste for the eclectic flavor the neighborhood is known for. See and do: East Dallas begs to be biked on a sunny Saturday afternoon. Fuel up with a burger and beer at Goodfriend then hit White Rock Lake, the neighborhood's urban oasis. Nestled on the shore of White Rock is the Dallas Arboretum and Botanical Garden, a lush attraction that boasts 66 acres of fabulous blooms, trees and water features. Celebrate mom with an adventure in every corner of Dallas.